It was 5AM on a cold February morning when I arrived to Bush Intercontinental Airport in Houston to meet my team for the next week. Although it was very early in the morning, I couldn’t shake the excitement of the adventure that we were about to embark on. 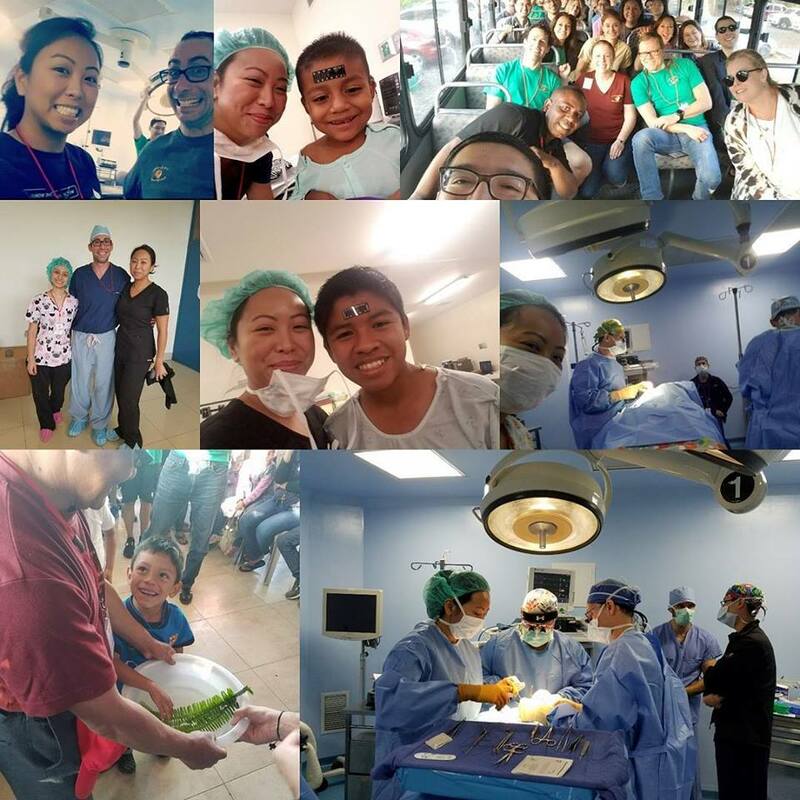 I was asked to be a part of the only all-pediatric surgical team to go to Retahuleu (Reu), Guatemala on a surgical mission trip through an organization, called Faith in Practice. This wasn’t my first rodeo to Guatemala, so I knew what to expect. My first journey to Guatemala was a couple years ago with the same team. Fortunately for me, when I arrived to the airport, I was reunited with a lot of familiar faces. When we finally arrived to Guatemala, we met up with the rest of our team members. 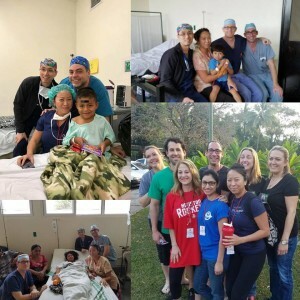 The team consisted of 4 pediatric anesthesia attendings, 3 anesthesia fellows, 3 recovery nurses, 8 operating room nurses/surgical techs, a ward physician and PA, a priest, 3 coordinators from Faith in Practice, 4 dental team members, 4 pediatric general surgeons, 5 translators, and our 2 team leaders. I was a part of the operating room staff and acted as a scrub nurse/circulator. The 3-hour bus ride to the hotel from the airport turned to a 6-hour bus ride, so unfortunately not much was able to get done the first night. The next day in Guatemala, we were told to be up by 630 in the morning where the team got together for breakfast and a morning devotional. After some inspiring words from our pastor and plans laid out by our team leads, we boarded the bus to go to the hospital. Two years had past since I stepped foot in the hospital in Reu and boy did things change! The outside of the hospital was remodeled and was expanded. The operating rooms were updated with central air conditioning. It was amazing to the see all the changes that were made. We were greeted by the lovely hospital staff and to tour hospital and ended at the lobby where our hopeful patients of the week greeted us. These patients journeyed hours from rural parts of Guatemala to be one of the “lucky chosen ones” for surgery. After meeting the staff, patients, and touring, we hit the ground running and set to work. The goal of day 1 at the hospital was to basically build a surgical hospital in 1 day. The general surgeons and anesthesiologists started triaging patients and building the surgical schedule for the week. The recovery nurses set out to stock and set up their PACU area. 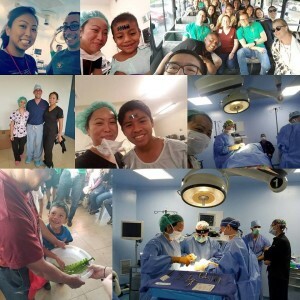 The operating team got our team assignments and found out which surgeon we were working with and off we went. We basically had to build a functioning operating room from the scratch. Every week, a new surgical team comes in and as a team leaves, that team takes all of their supplies, instruments, packs back with them. So when we arrived, we had to unpack all of our 20 trunks, get the central core racks stocked with our supplies, get our OR stocked with supplies, have our instruments sterilized, etc. When we finally started the surgeries, we all functioned as a well-oiled unit. It was amazing to see the work and dedication put forth by everyone and we were all united by the same goal: to serve the children of Guatemala. It was such an amazing experience. The kids and families were so grateful for us being there, which in turn made me grateful for being allowed the ability to be there. There was one patient that I talked to who aspired to be a reporter. I remember he was video recording on his phone and started interviewing us and one question that was asked was, “Why do you do this?” I do this because it feeds my soul. The joy and gratitude that I see when we help is indescribable. I would love to do this every chance I get if I could! By the end of the week, we performed 86 surgeries and the dental team did 80 procedures. Guatemala will always hold a special place in my heart. The people of Guatemalan have shown me compassion, gratitude, humility and the experience has definitely shaped me as a person. I know that this will not be my last mission trip. I want to also thank One Nurse At A Time for allowing me to be able to participate on this journey.